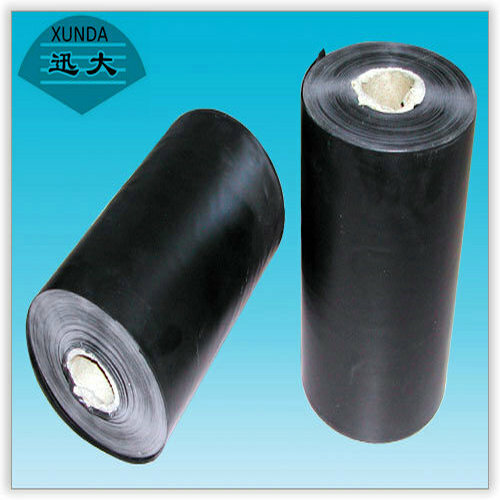 Composition: It is tape-shaped anticorrosion material made of Polyethylene film heat laminated with adhesive layer of butyl glue. Prepare surfaces by removing all loose scale, rust or other foreign matter by grit blasting or wire brush. Surface must be clean, dry and free of grease. 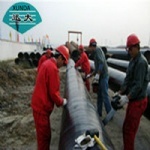 Apply thin film of Butyl Primer to all surfaces to be wrapped and allow to dry. Peel back interleaving and apply adhesive side of the tape to the surface and press down. Apply the tape spirally with enough tension to make it conform. Remove interleaving as wrapping proceeds. Overlap each turn by at least 1" or 55% to achieve double thickness.